For the first in a series of reinterpretations of material from Linkwood's superb "Expressions" album (No. 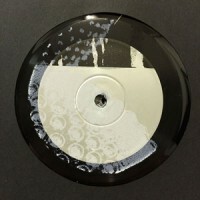 10 in our 2015 Chart, fact finders), Firecracker Recordings has turned to Chicago deep house veterans Ghosts of the Sky (AKA Perpetual Rhythms’ Chicagodeep and Taelue), and fast-rising machine abusers Nummer. The latter dive into an aquatic techno tip, turning the becalmed and melancholic "Love Lost" into a techno-tempo stroll through vintage Carl Craig chords, sweaty machine percussion, and yearning melodies. There's a warmer and heavier, if surprisingly stripped back, feel to Ghosts of the Sky's version of "Object", with spluttering electronics and sumptuous chords stretching out over a rich synth bassline and hissing, cymbal-heavy groove. Piccadilly customers old and new should know how much we've championed this label, right from the start, and it's nice to see them closing 2015 with all the care and attention as they started off with. These are two phenomenal reworkings, not simply remixes for the sake of sticking another name on a branded record. These are not a collaboration with some designer jeans company in order to get plays on Boiler Room or NTS. These are timeless sonic treasures, as historically important as the Firecracker label itself in the annals of Scottish folklore.